Join us and industry leaders at our Mortgage Market in Scotland Seminar on Thursday 7 March 2019, in partnership with Shepherd and Wedderburn LLP. The Seminar will explore the challenges and opportunities in the developing landscape of the Scottish housing and mortgage markets in 2019. The agenda includes topics covering regulatory interventions in the mortgage market; private housebuilding; private renting; and the current heritable securities (mortgages) project. If you still haven’t booked your ticket to attend the Mortgage Market in Scotland Seminar, now is the time – as we're delighted to offer a complimentary ticket when you bring a colleague. With this two-for-one offer, when you buy a Seminar pass for yourself, you’ll get another completely free for your colleague. To take advantage of this offer, all you need to do is provide your colleague’s name and email address when you book your ticket. Hosted at the Law Society of Scotland in central Edinburgh, this half-day event brings together key senior stakeholders, government representatives, industry professionals and experts from across the UK Finance membership to exchange knowledge, insights, and innovative ideas. We will hear from industry experts on the latest mortgage industry issues, market trends and updates, regulatory changes, and threats and opportunities facing the Scottish economy. Each session will provide an opportunity for delegates to ask questions and comment. The event concludes with a networking drinks reception and provides an ideal setting for delegates to continue to connect and share knowledge. Scotland Mortgage Market Overview: what does the future hold? Mortgage Introducer is essential reading for the mortgage professional. The knowledge gained from our magazines, websites, and events help our readers make a success of their business. That is our core objective and is the reason why we offer the Mortgage Introducer brands free of charge to our readers. The brands and networking events we provide, along with the latest information, news and views of what is happening in the industry, give our readers the tools to continue their CPD, make a difference to their business and ultimately make a difference to their clients. Shepherd and Wedderburn is a Scottish headquartered, top 50 UK law firm with office in Edinburgh, Glasgow, Aberdeen and the City of London, providing comprehensive multi-jurisdictional commercial legal advice across all sectors and the full range of private client services. Widely regarded as the ‘go-to’ firm for specialist advice, Shepherd and Wedderburn has an impressive track record advising clients across all industries and sectors, in particular across real estate, energy and natural resources and the financial and banking sectors. The firm advises FTSE and AIM-listed companies, large corporates, family-owned companies, small to medium-sized enterprises (SMEs), entrepreneurs and public service organisations. With the short-term outlook for the UK still hugely uncertain, this session will look at how the Scottish mortgage market has fared, focusing on the trends in lending for Scotland versus the wider UK. First time buyers, home movers and PRS investors are facing differing challenges and opportunities, and lenders, brokers, and other actors in the marketplace need to be well-informed – James will discuss the opportunities, risks, prospects and affordability north of the border. Finally, delegates will be provided a helicopter view of Scotland as a whole, with a focus on whether there are hot spots of activity or risk as we look forward to an eventful year. This session will provide a holistic view of Scotland’s economic outlook, with some specific analysis of the implications for property markets. To what extent have regulatory and tax changes driven PRS landlords to re-evaluate their commitment to the sector? Is there evidence of landlords leaving the industry in Scotland and, if so, what could be the effect on government policy to see a vibrant and sustainable market for Scotland? Have regulatory changes by Scottish Government in the PRS had a beneficial impact for landlords in improving quality, standards and professionalism, and driving-out rogue operators? 12:35 Scotland Mortgage Market Overview: What Does the Future hold? An analysis of the current housing market in Scotland in the context of house prices in Scotland including housing market trends and performance, and the impact of the Land and Buildings Transaction Tax. Is the Scottish government is sufficiently attuned to the evolution of the private rented sector? How has the experience of letting in Scotland changed as a result of the new model tenancy, and changes to registration and regulation of letting agents? 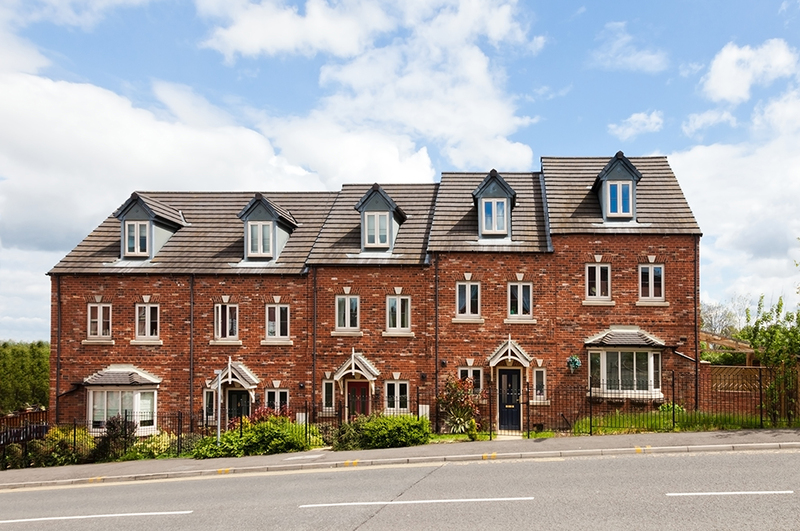 Do other government policy priorities, such as Rent Pressure Zones, energy performance and enhanced fire safety standards present unsustainable cost challenges for landlords? What does the picture look like for private housebuilding and delivery? This session will provide an overview of the key regulatory issues that lenders should be aware of and their possible implications. This session is chaired by John Marr, Principal, Devolved Government & Social Housing, UK Finance who will be joined by Andrew Kinnes, Partner, Shepherd and Wedderburn, and Dr Andrew Steven, Commissioner, Scottish Law Commission. This session will take an in-depth look at the law (Conveyancing and Feudal Reform (Scotland) Act 1970) as it stands, and its aftermath. They will consider the creation and enforcement of Security over Land and any scope for reforming the law including the review process. With an expectation from the FCA for lenders to take action on customer vulnerability, this session takes a closer look at what this means in practice. We will review the factors that can create vulnerable situations for customers in the mortgage market; and the key challenges for lenders around identification of vulnerable situations, use of data, compliance and staff training. Sharing insights, learning and case studies from over 10 years of work and research on customer vulnerability we will look at practical steps lenders can take to support these customers. Becoming Homes for Scotland (HFS) Chief Executive on 1 February 2016, Nicola Barclay has direct responsibility for managing the Executive Team, delivering business strategy and meeting the wide-ranging needs of member companies. With a career spanning over 20 years in the home building industry and stretching over sales, land acquisition and planning, Nicola is ideally placed to take the organisation forward at what is a pivotal time, not only for the organisation but also for housing in Scotland in general. John leads the Rettie & Co. Research Team, providing a cutting-edge research and consultancy function. His work informs clients on sales, lettings, investment and development opportunities. He also analyses the current status of property markets and assesses how they are likely to change. Over the last 15 years, he has worked for all of the major house builders in Scotland, the Scottish Government, many local authorities and investors. He led the Scottish Government’s study into the 5-year Review of the Home Report. He sits on Homes for Scotland’s Policy Advisory Group and is a member of the Society of Property Researchers. Douglas Cochrane has worked for Lloyds Banking Group for 40 years in a variety of senior retail management and relationship positions, currently specialising in the new-build and affordable housing markets having started his career in the then Halifax Building Society in Glasgow. He is chair of UK Finance, mortgages, Scotland policy committee and a member of the NHBC's Scottish Committee and their National Council. Douglas is a regular contributor to debates on housing supply and quality at central and the devolved government. Clydesdale Bank’s dedicated intermediary business was established in 2004. Our primary focus is to provide higher value mortgages through the intermediary market I joined the bank in 2007 . With a strong banking background and over 30 years in the industry I am responsible for leading a team of UK relationship partners that handle our mortgage broker business. I am also responsible for managing our telephone based broker sales operation in Glasgow. I am currently a member of the UK Finance Scotland Committee and a member of NHBC Scottish Committee. Andrew Kinnes is a partner at Shepherd and Wedderburn. His broad banking and finance practice has included many years of experience of drafting proforma and specialist securities over land, of amending, transferring and enforcing those securities, of origination systems for such securities and of treasury and financing transactions backed by such securities. He is a member of the Scottish Law Commission’s Advisory Group on its current heritable securities (mortgages) project. Malcolm is a Fellow of the Royal Institution of Chartered Surveyors, and the Chartered Institute of Building, with 40 years of experience in the construction and house building industries. His broad career includes Quantity Surveying, Building Control, Building Surveying and Project Management. He was appointed NHBC’s Director in Scotland in 2001 and is Senior Vice- Chair of RICS Scotland, he sits on the RIAS Energy Certification Board and is a founding Member of Parliaments Cross Party Group for Construction. John Marr joined the former Council of Mortgage Lenders (CML) in January 2012 and transferred to UK Finance when it was formed in July 2017. As Principal, Devolved Government and Social Housing, John leads our mortgages and housing policy work in the UK nations, as well as our work on low cost home ownership and government schemes to support home purchase. John also leads our work in relation to commercial funding and investment in the housing association sector, which is key in helping to meet government targets for new affordable and social housing delivery. Previously, John worked on housing policy at the Local Government Association. Dr Andrew Steven has been a Scottish Law Commissioner since 2011. He led the Commission’s substantial project on moveable transactions, which led to a report published in 2017. He is now responsible for the heritable securities (mortgages) project. Dr Steven is also a Senior Lecturer in Law at the University of Edinburgh. James Tatch is Principal, Analytics for UK Finance with lead responsibility for UK Finance’s statistics and data work. James has worked in economics and statistics for more than 20 years, the past 15 of which have been at UK Finance (and previously CML). Working first in academic research, James then moved to the public sector before finally settling in the private sector within financial services.